The brazen cutthroat attack by "progressive" Democrats against Colorado's oil and gas industry is astonishing. But the most astonishing aspect may surprise you. 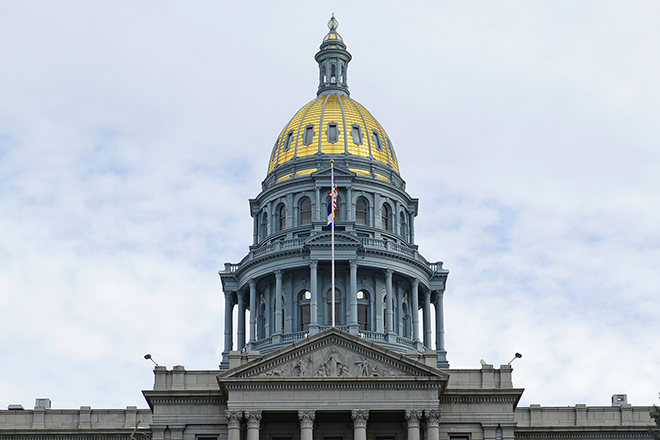 It's not that Senate Bill 181 could bring new oil and gas exploration in Colorado to a halt for several years while bureaucrats go back to square one to write new rules for the industry. It's not that the bill amounts to a recession-through-legislation - devastating an industry that employs more than 100,000 Coloradans and generates over $1 billion per year in state government revenue, most of which goes to support public schools. It's not the embarrassing slapdown that progressives delivered to former Gov. John Hickenlooper just as he launches his bid to be President. Hickenlooper spent much of his two terms as governor working to strike a delicate balance between property rights, environmental concerns, and the burgeoning energy industry. Most astonishing is the outright deception in last year's election by Democrat candidates who told voters they were opposed to Proposition 112 - a draconian ballot issue that would have banned oil and gas exploration in much of Colorado. Candidate Jared Polis declared: "I want to be very clear today where I stand on this. I oppose (Proposition 112)." The dirty little secret they knew all along was that, once they took control, they could enact something even more severe without consent of the voters. Looking back, the strategy is very clear. Why did California billionaire Tom Steyer, a climate change zealot, choose to notpour money into Prop 112? Because Steyer and other key progressives shrewdly focused resources on helping Democrats look reasonable to Colorado voters. Their larger goal was to help Polis become Governor and help Democrats regain control of the Colorado Senate. Prop 112 was a red herring designed - or conveniently used - to allow many voters to believe that most Democrats opposed such extreme measures, while only a few true believers publicly supported it. On Election Day, voters soundly rejected Prop 112 by 55% to 45%. They also handed Democrats unfettered control of the entire legislative process. They could be expected to believe that any further measures to address local concerns about oil and gas would be addressed reasonably, in a manner that also protected the jobs of workers in the energy industry. As it turns out, Democrats' campaign chatter was a ruse, a calculated deception played on voters who cast their ballots seriously and expected legislators to govern responsibly. Instead just four months later, Democrats' legislative leaders introduced a bill that could halt any new oil and gas exploration for years. Senate Bill 181 was introduced late on a Friday afternoon when most legislators had returned home to their districts. It was rammed through three committees in less than a week and is currently on a fast track toward passage. Governor Polis promises to sign it. The bill removes the requirement that state regulators "foster the responsible, balanced development" of oil and gas "in a manner that is consistent with public health." It deletes the requirement to consider cost-effectiveness and technical feasibility. Instead, the state is required to protect against anyadverse environmental impacts from oil and gas operations. "Any" adverse impact means no matter how minor. This provision is an invitation to an avalanche of litigation financed by environmental extremists and designed to drive oil and gas companies out of the state by slamming the lid on underground reserves that have yet to be tapped. Meanwhile, the bill gives a Polis-appointed bureaucrat the authority to refuse to issue any new permits until "every rule required to be adopted by legislation enacted in 2019" has become effective. That could be years. It's bad enough when candidates fail to keep their campaign promises. It's far worse when they were elected by purposefully misleading voters. Dear Dietitian – What is prediabetes?